Ripple is a unique and noble approach to charity funding. It harnesses the power of social content to generate sustainable cash for causes. 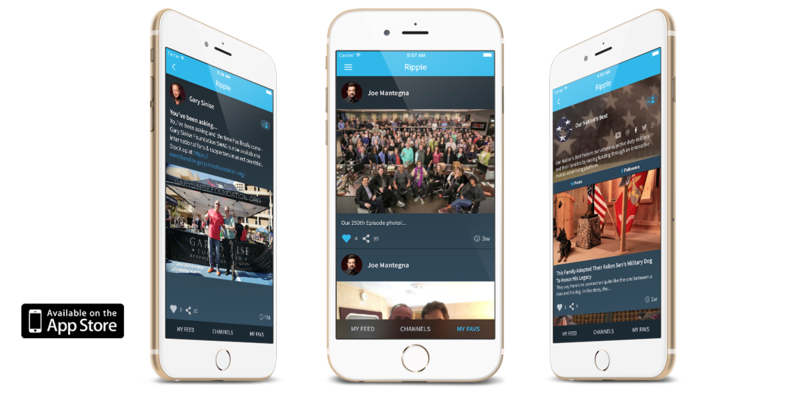 In short, the app is a free social publishing application that helps philanthropic celebrities monetize their existing social media activity for charity. The app works by connecting celebrities and brands to fans. The content contributors publish to their Facebook and Twitter through Ripple. The more you discover and share exclusive content alongside your favorite stars, the more money is raised.